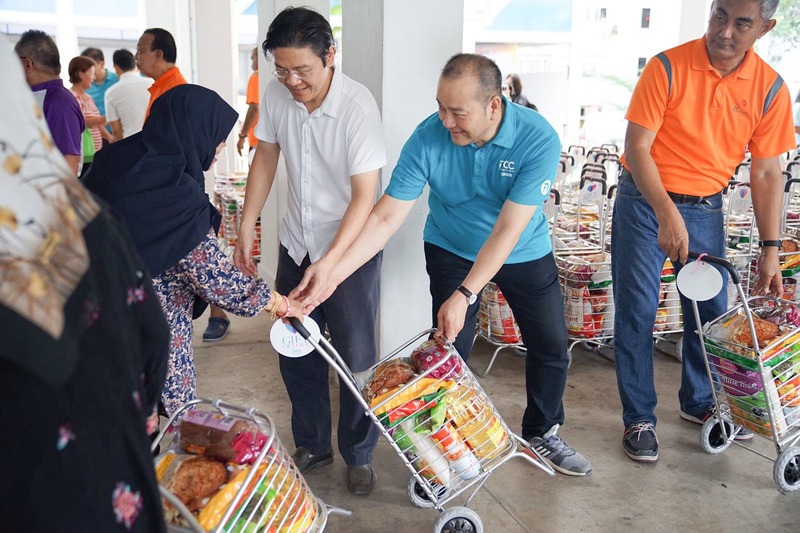 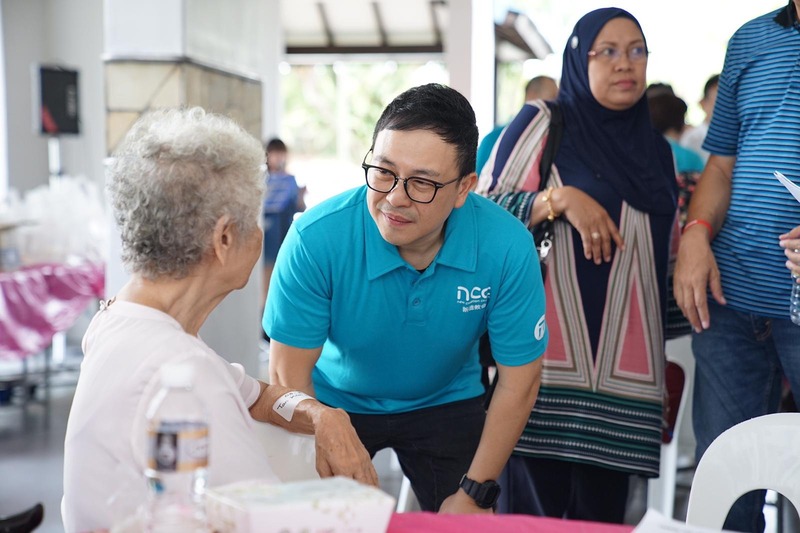 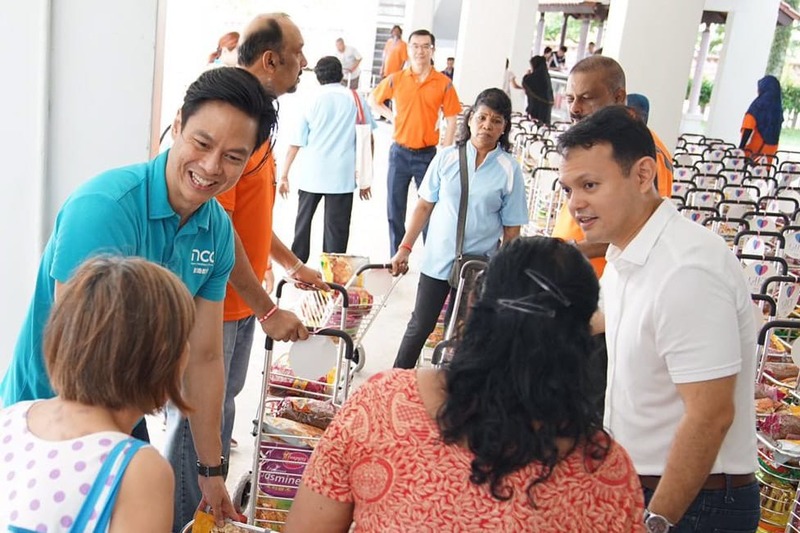 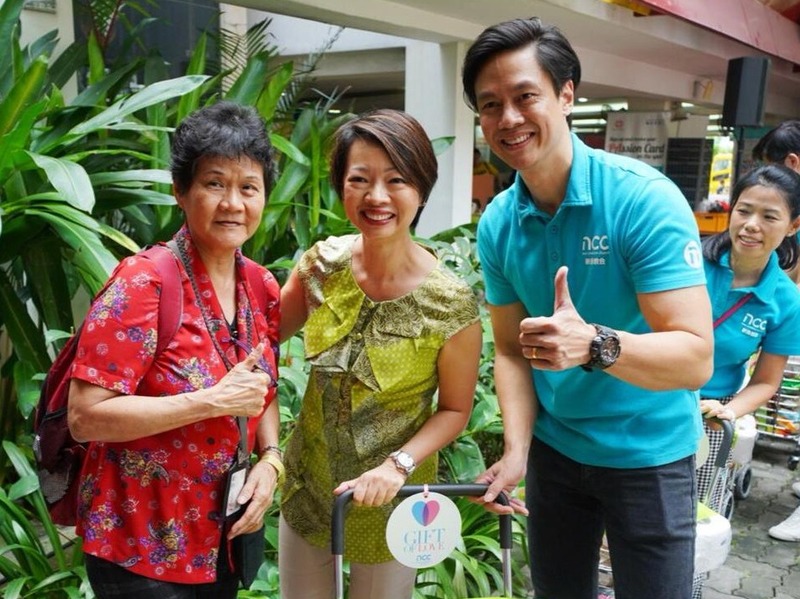 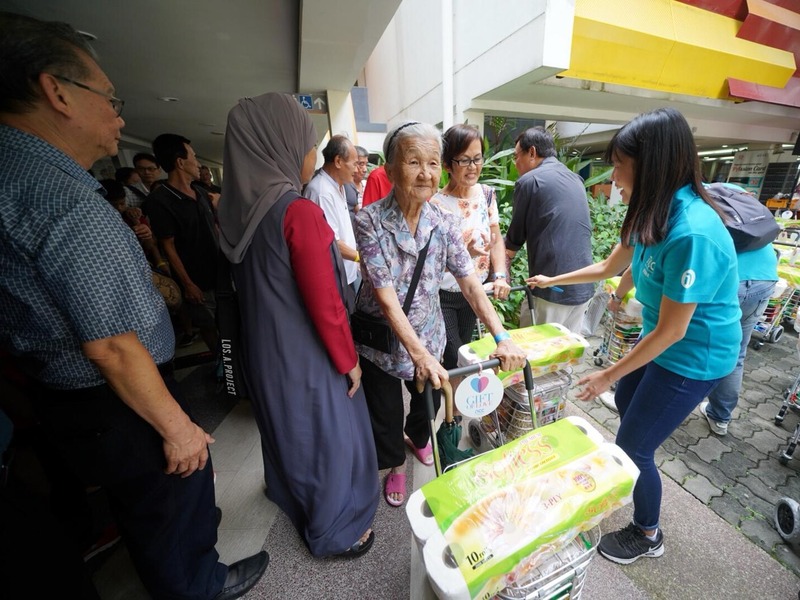 At the third and final Christmas Gift Of Love event organised by our church with Marsiling-Yew Tee GRC Grassroots Organisations (GROs) on Saturday, 8 December 2018, Mr Lawrence Wong, Minister for National Development and Adviser to Marsiling-Yew Tee GRC GROs, who was the guest of honour at the lunch event, presented gift trolleys to 900 families together with Mr Zaqy Mohamad, Minister of State for National Development and Manpower, our church council member Deacon Matthew Kang, Pastor Lawrence Lim and Pastor Louis Teng. 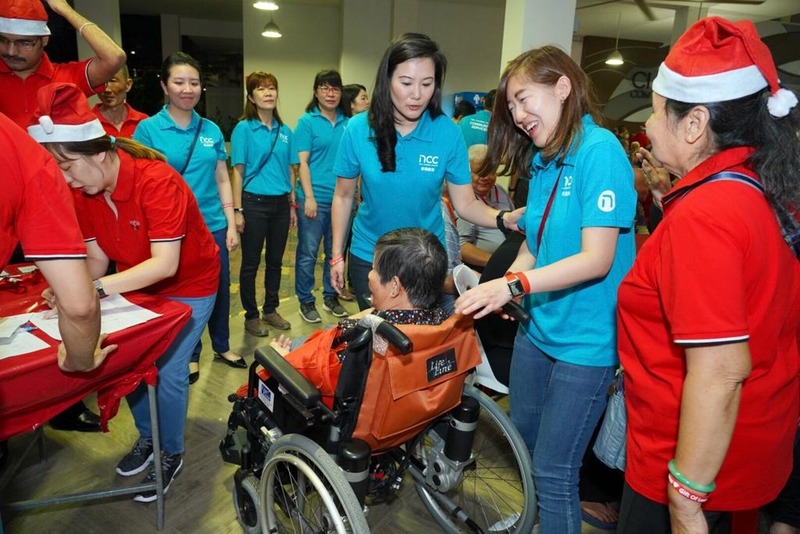 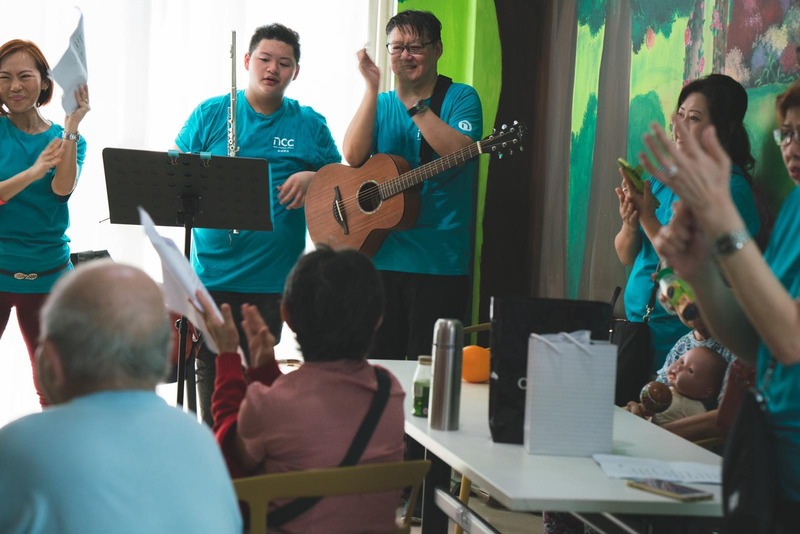 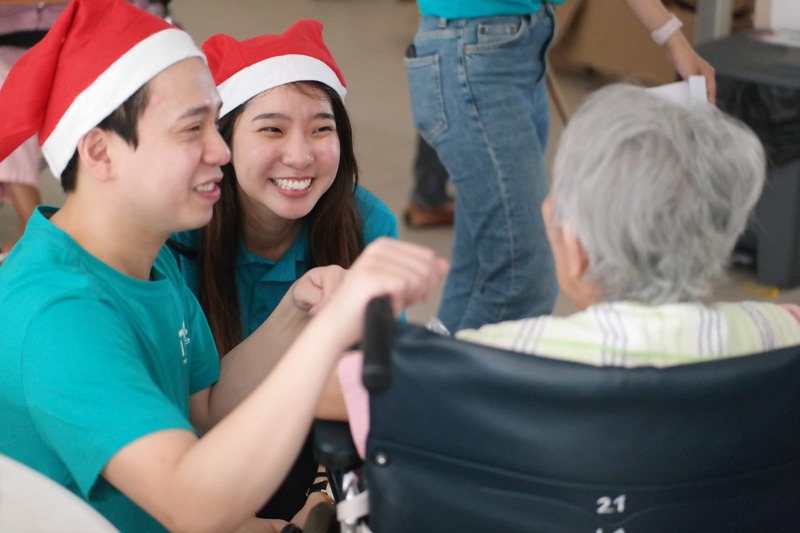 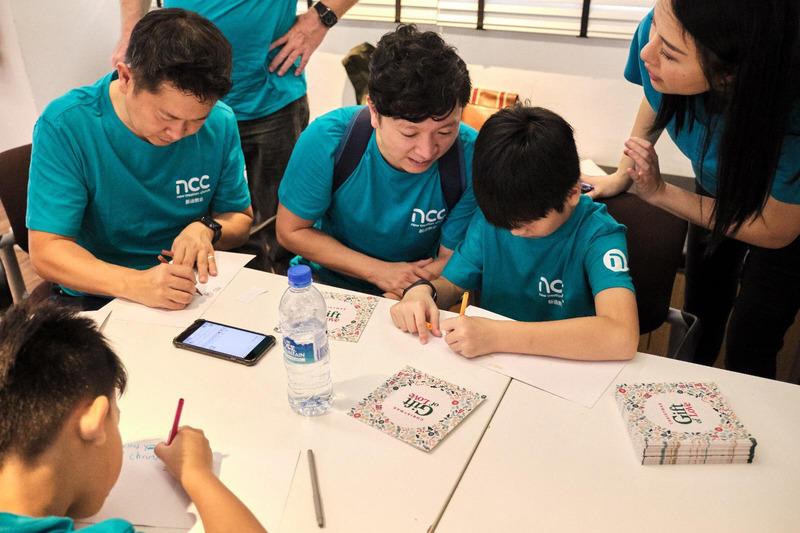 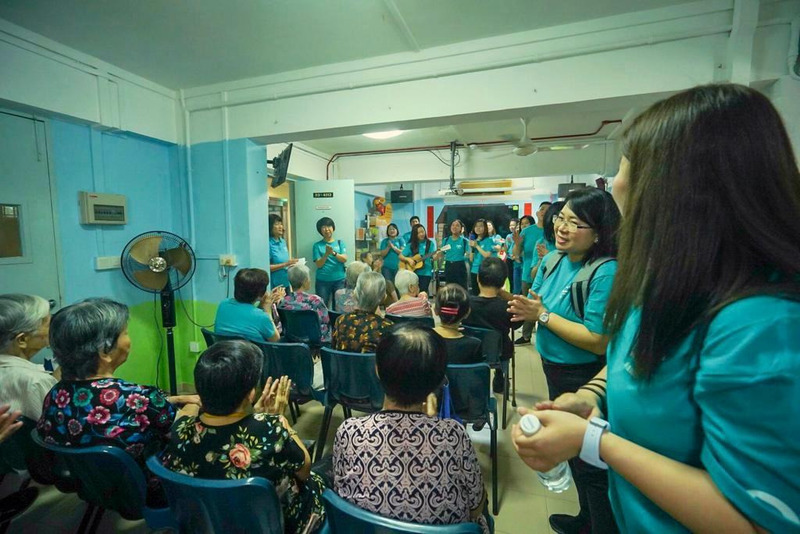 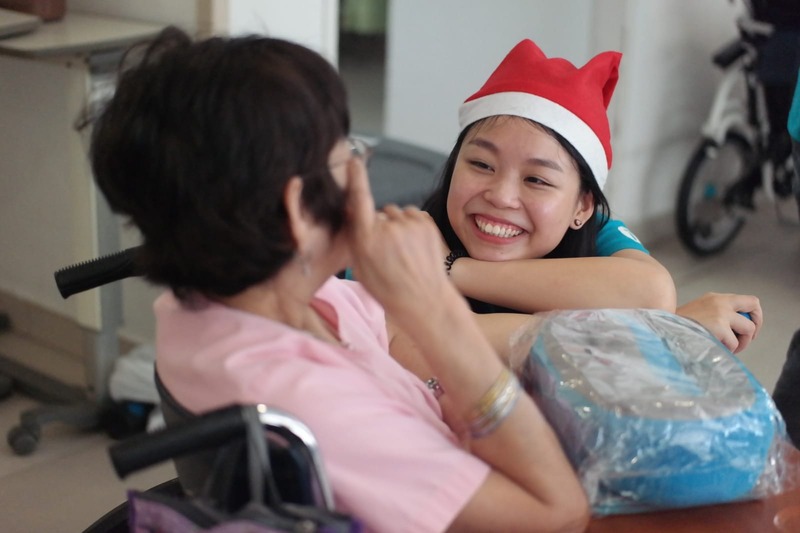 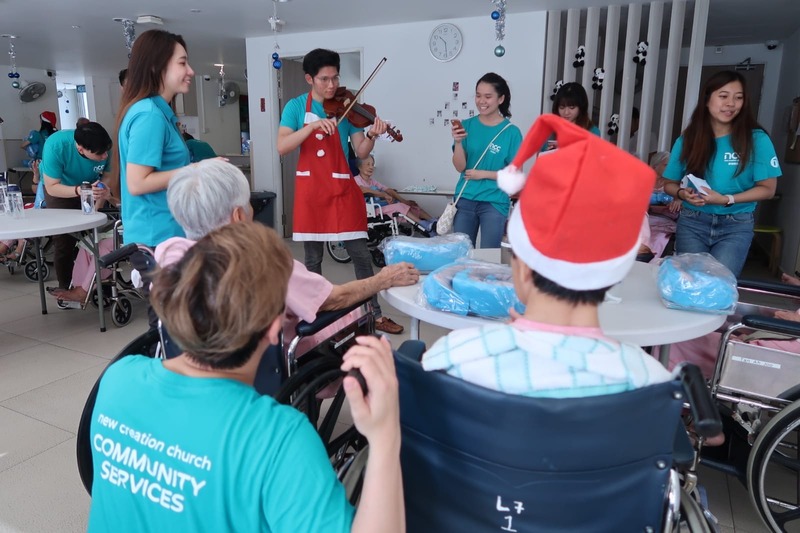 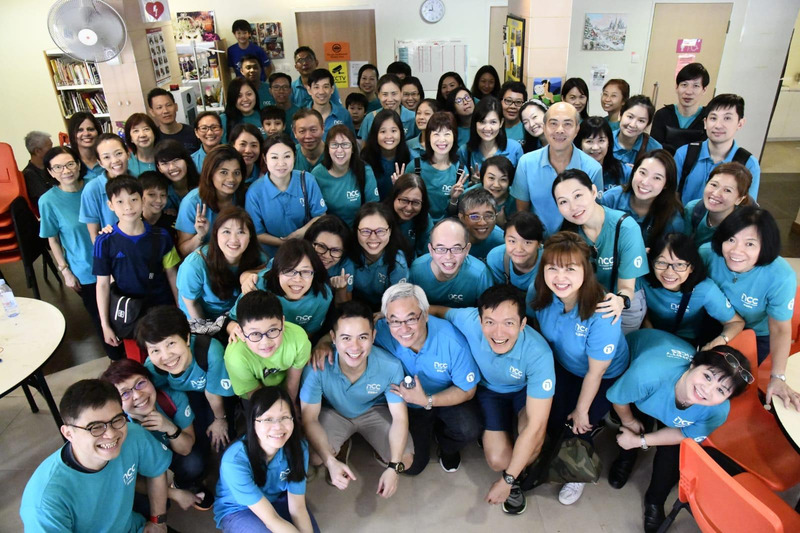 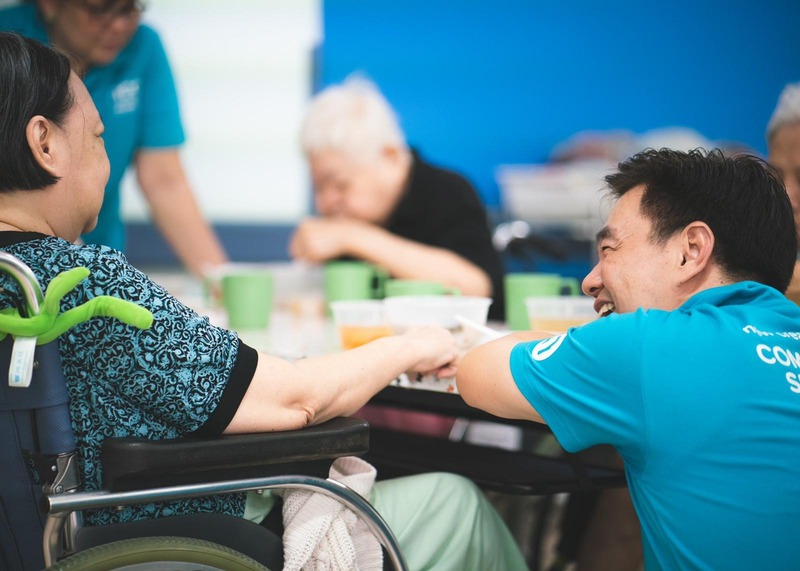 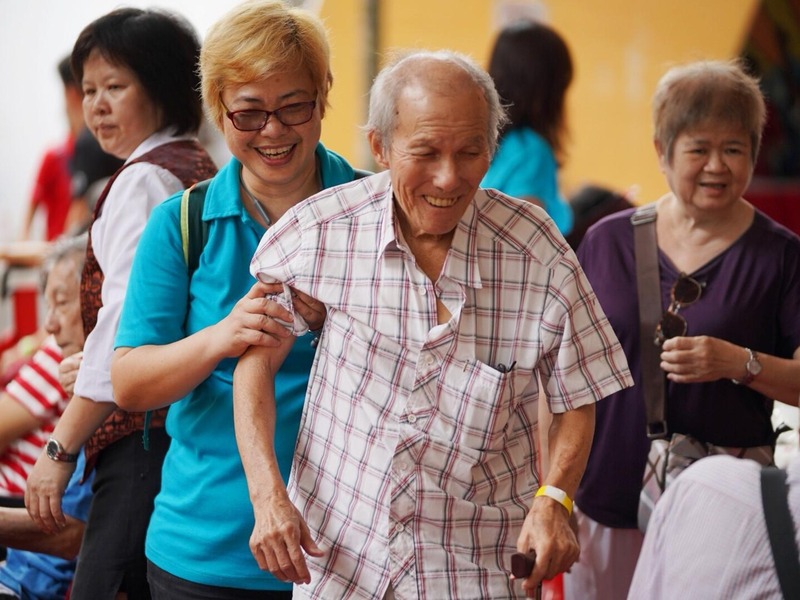 On the same morning, our volunteer teams also visited nursing homes across Singapore bringing Christmas cheer to the elderly there with gifts of daily essentials, songs of joy, and bright, cheery smiles. 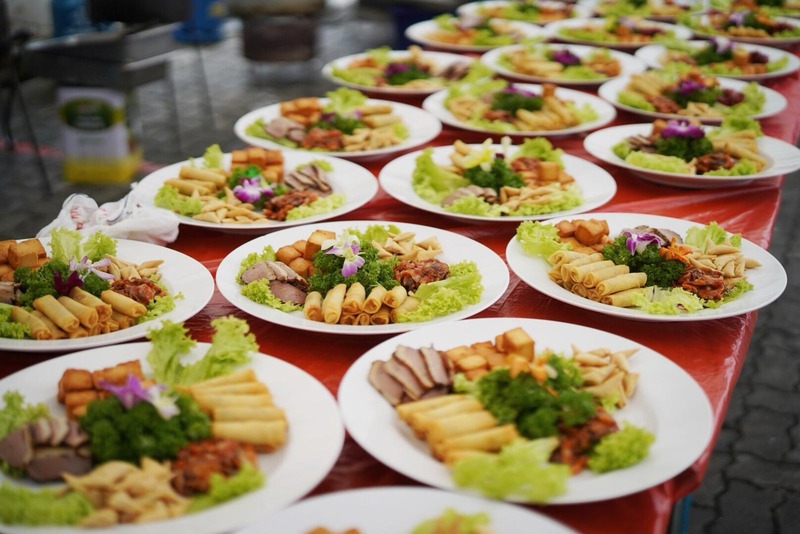 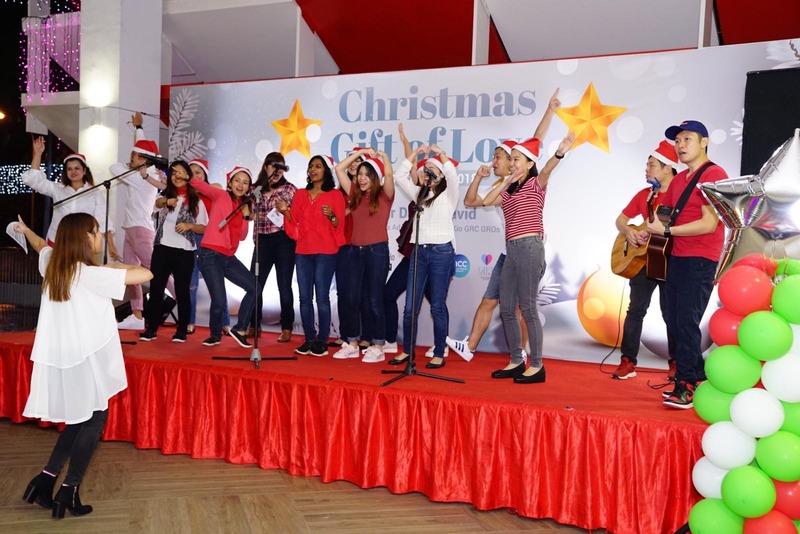 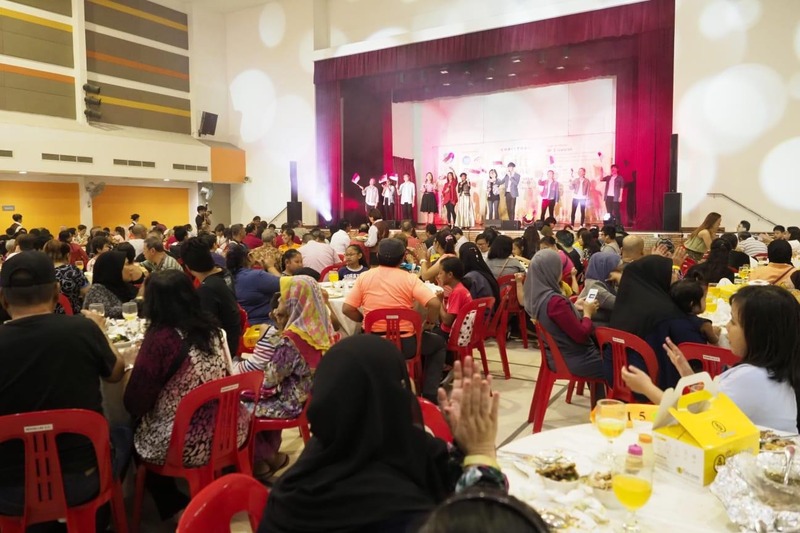 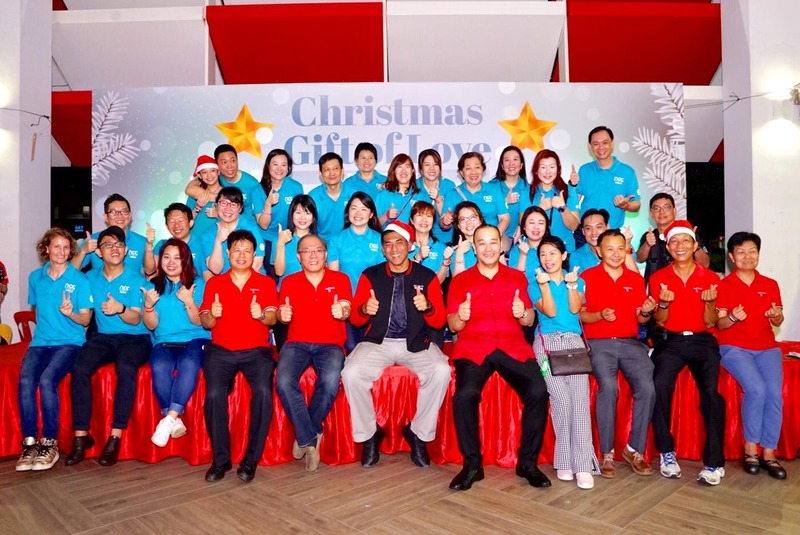 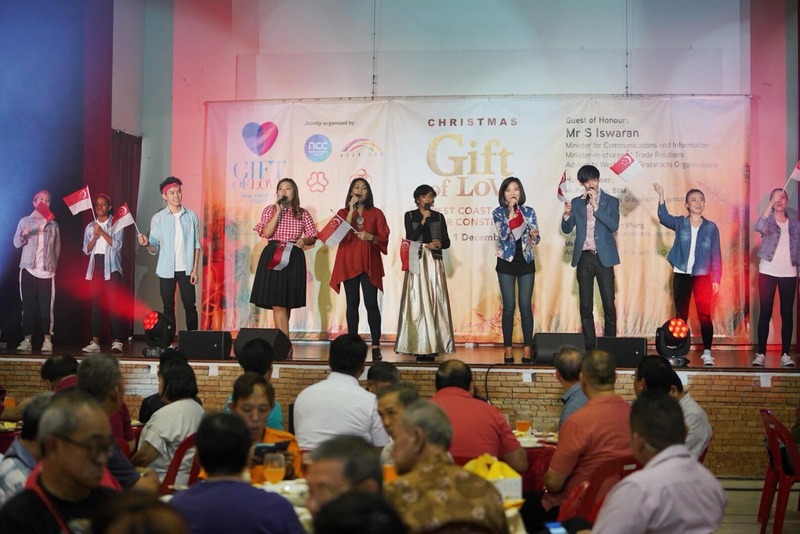 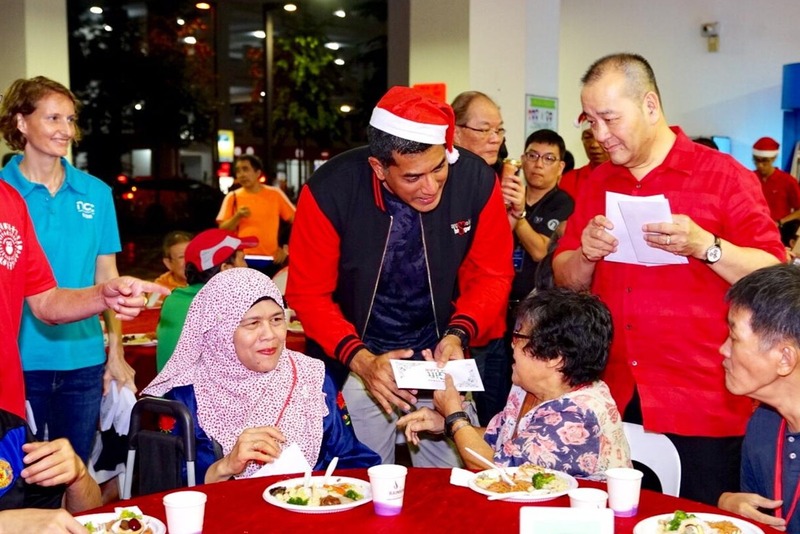 At the Christmas Gift Of Love dinner party, 150 families from Ang Mo Kio Group Representation Constituency (GRC) enjoyed a buffet dinner with Christmas carols as well as $100 in supermarket vouchers. 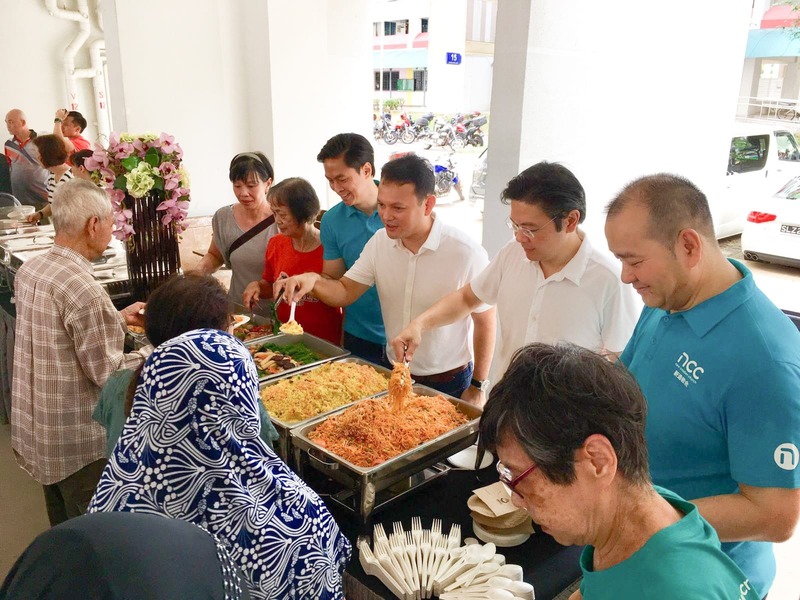 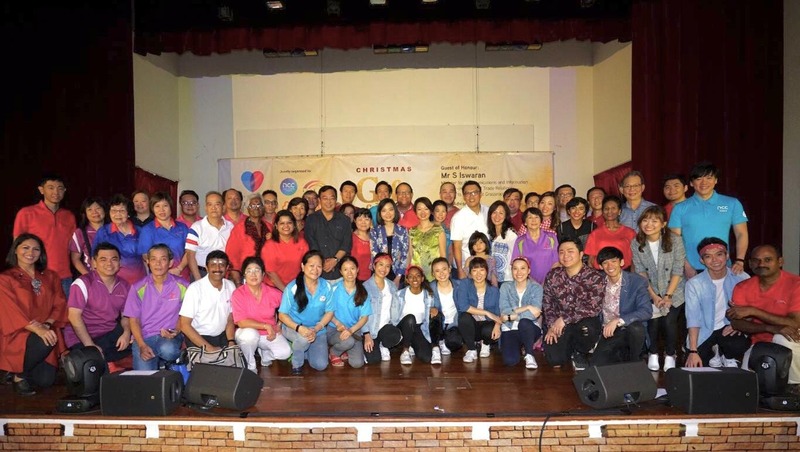 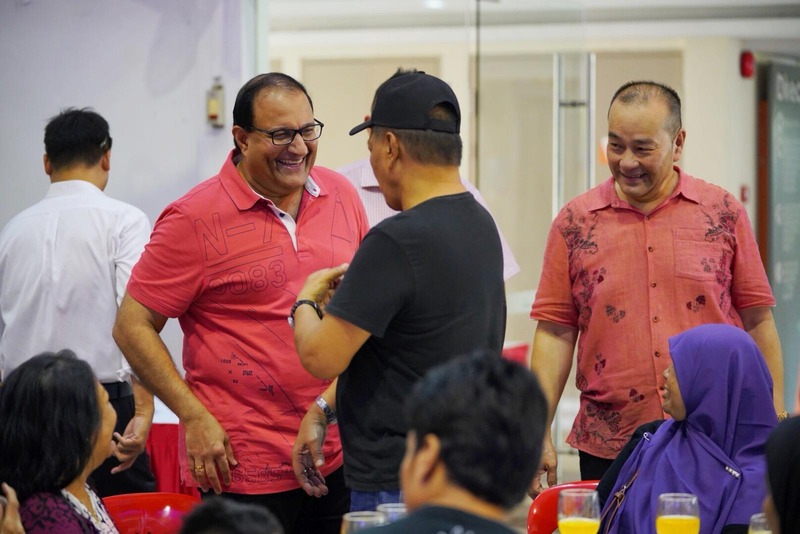 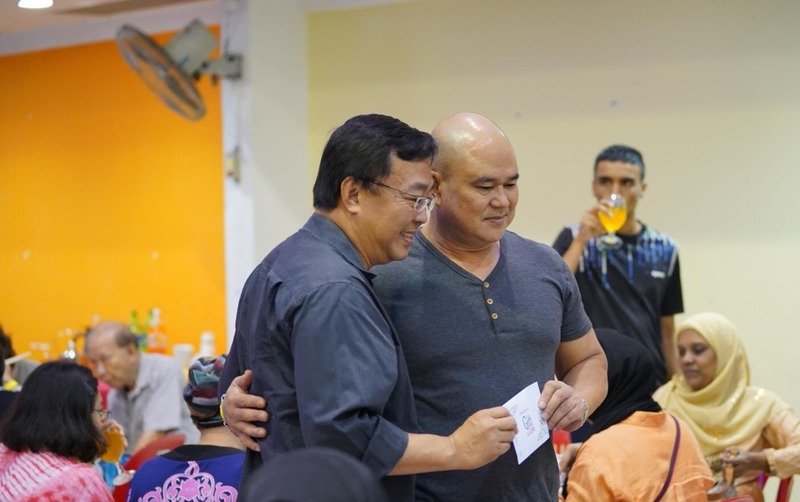 The event was jointly organised by our church and Ci Yuan Community Club Management Committee, with Mr Darryl David, Member of Parliament for Ang Mo Kio GRC, as the guest of honour. 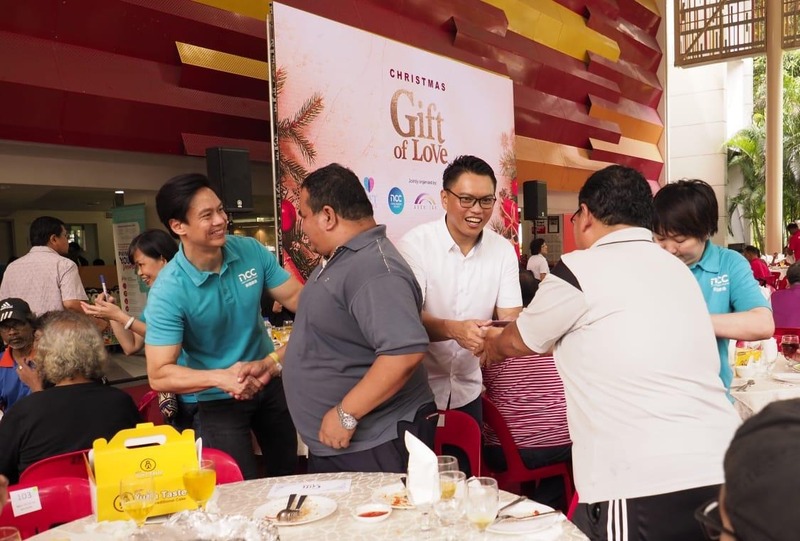 We kicked off this year’s Gift Of Love 2018 activities with a Christmas Gift Of Love lunch party for 300 underprivileged families in West Coast GRC and Pioneer Constituency where they were blessed with $60,000 in supermarket vouchers and gift trolleys filled with daily essentials. 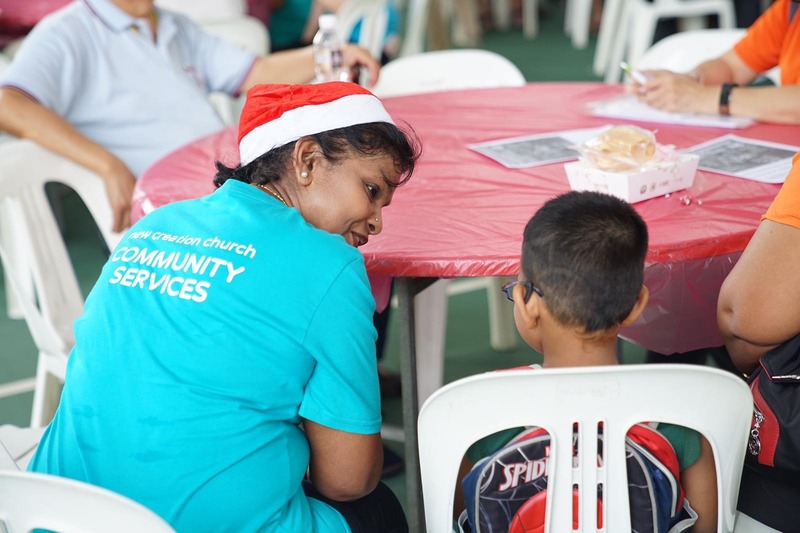 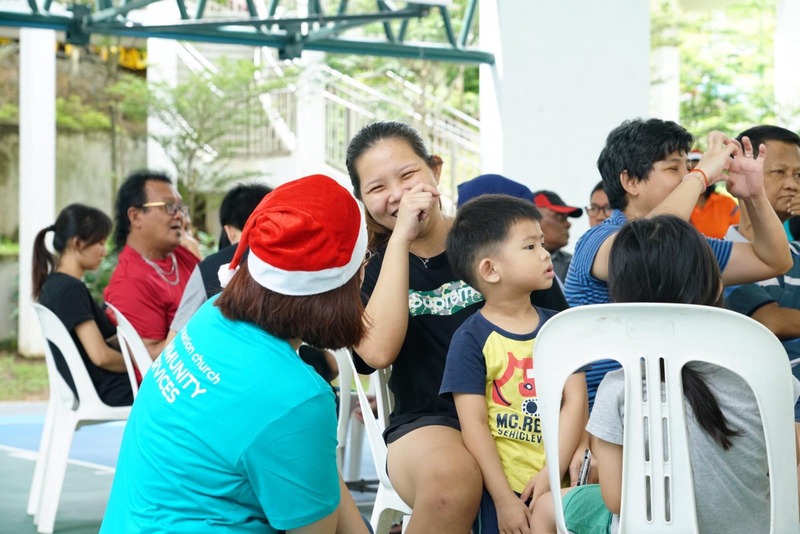 Held on Saturday, 1 December 2018 at Boon Lay Community Centre, the lunch party was co-organised by our church with West Coast GRC and Pioneer Constituency Grassroots Organisations (GROs), and was the first of three Christmas Gift Of Love events held this year. 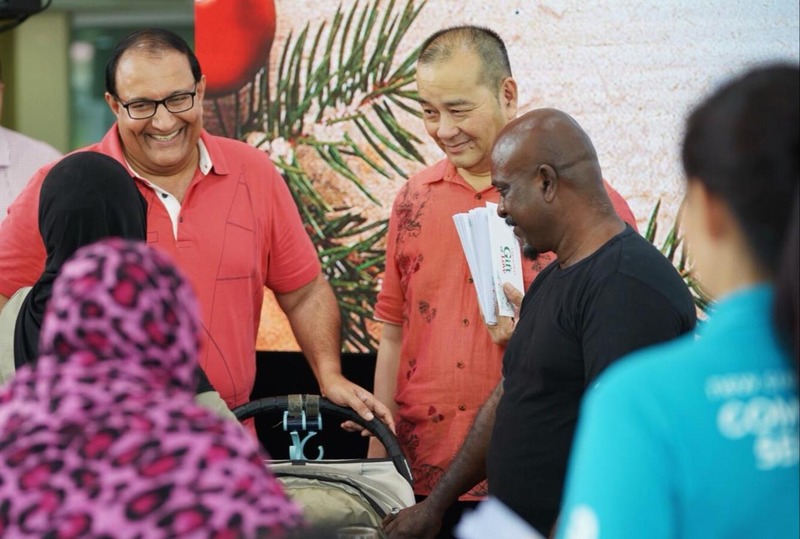 The guest of honour, Mr S Iswaran, Minister for Communications and Information, Minister-in-charge of Trade Relations, and Adviser for West Coast GRC GROs, together with our church council member Deacon Matthew Kang and Pastor Lawrence Lim, presented the supermarket vouchers sponsored by our church to the families at each table during the lunch party. 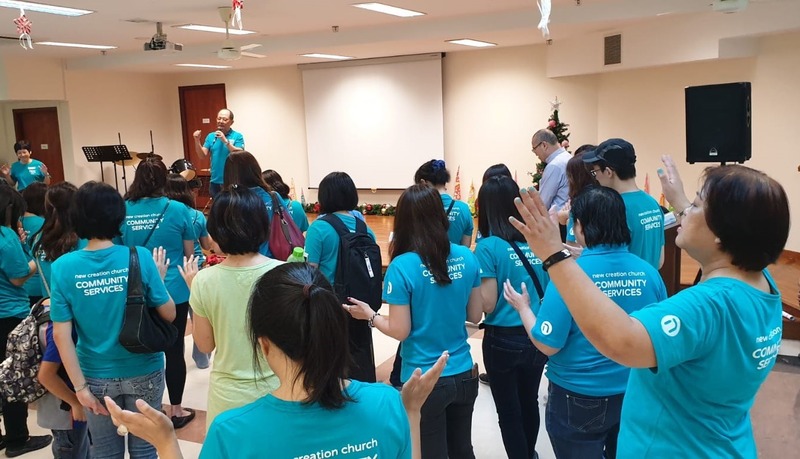 As the families tucked into lunch, our church’s creative team presented a multicultural programme featuring items like Singai Naadu, Ku Mohon, 小人物的心声, We Are Singapore, Christmas carols and a rendition of the popular national song, Home. 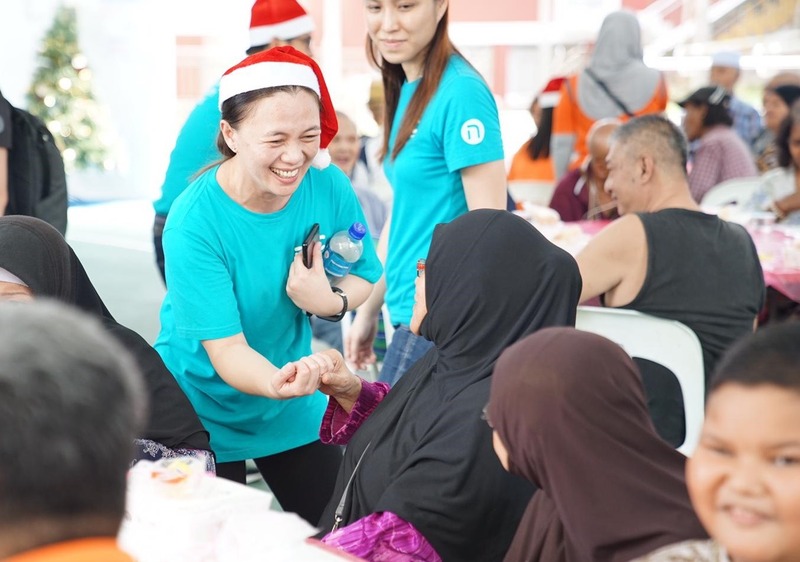 This morning, our pastors, leaders and volunteers also brought Christmas cheer to more than 2,000 underprivileged people as they visited families around Singapore. 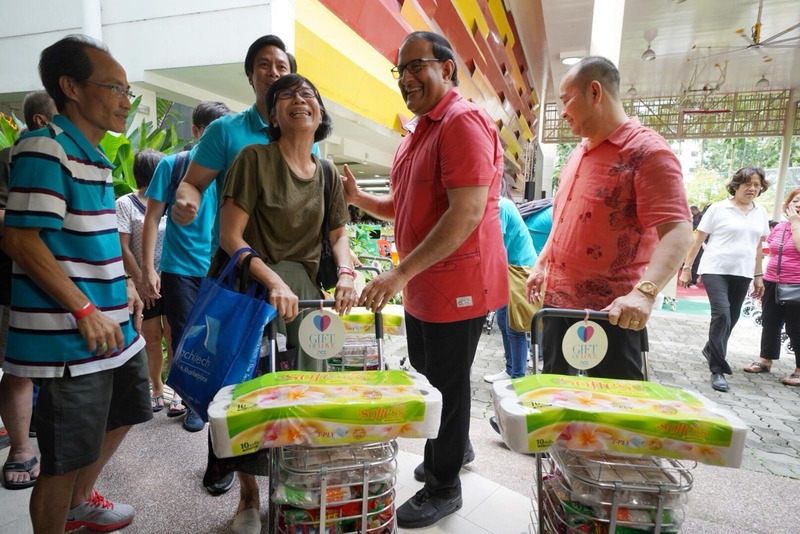 They gave each household $100 in supermarket vouchers. 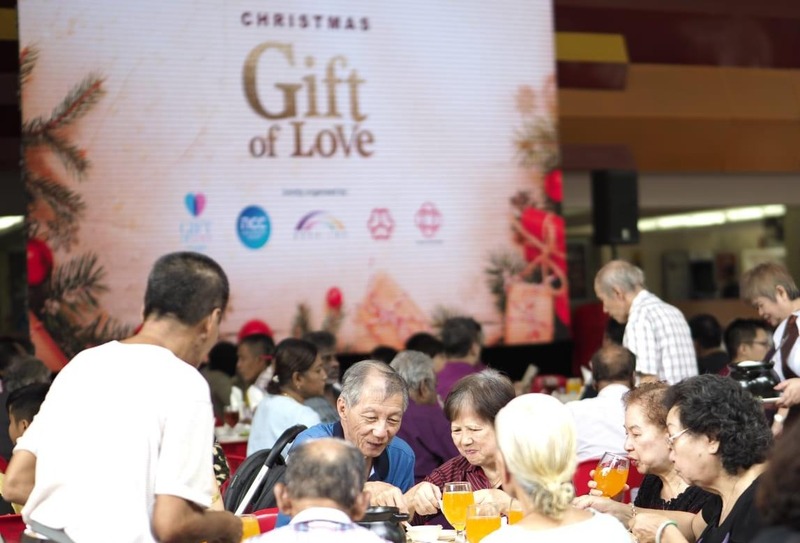 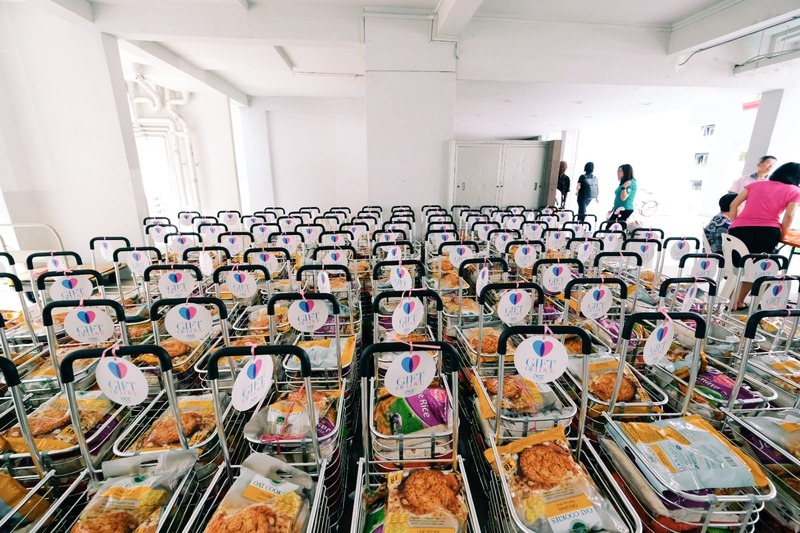 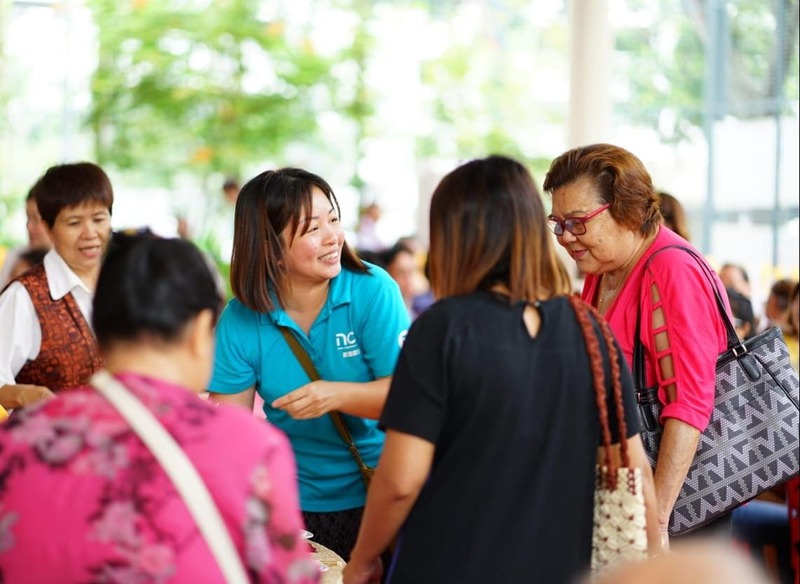 This year, through the Gift Of Love events, New Creation Church will be giving about $470,000 worth of gifts including supermarket and retail vouchers, as well as gift trolleys filled with daily essentials to about 7,000 underprivileged people. 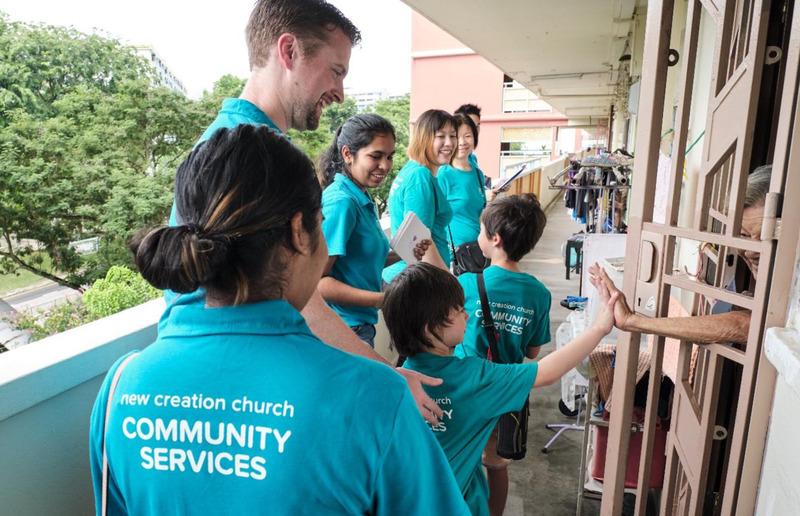 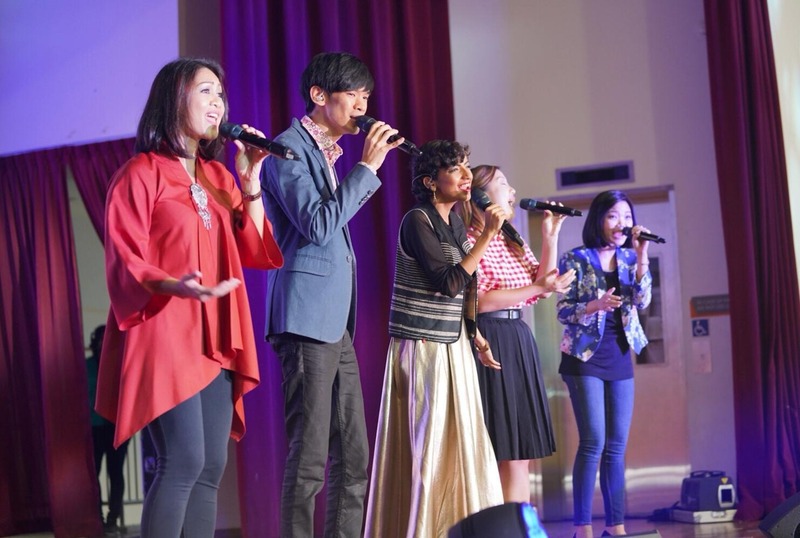 Since 2014, our church has helped over 67,000 people in Singapore and the region through Gift Of Love with a total giving worth about $2 million.